Noon Hill - Medfield, MA - Take a day trip! Noon Hill view in Medfield, MA. portions of the Bay Circuit Trail (which goes all the way around Boston). I would recommend printing a trail map before you go as there is no guarantee that there will be a trail map there. Maps are available at the following link. 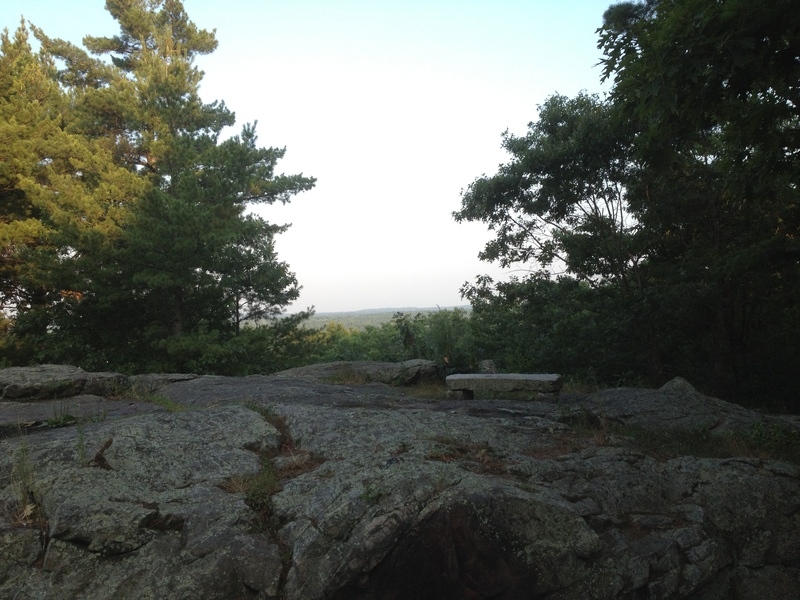 The highlight of the reservation is the view atop Noon Hill which includes a nice open area and stone bench to sit down and take a break. 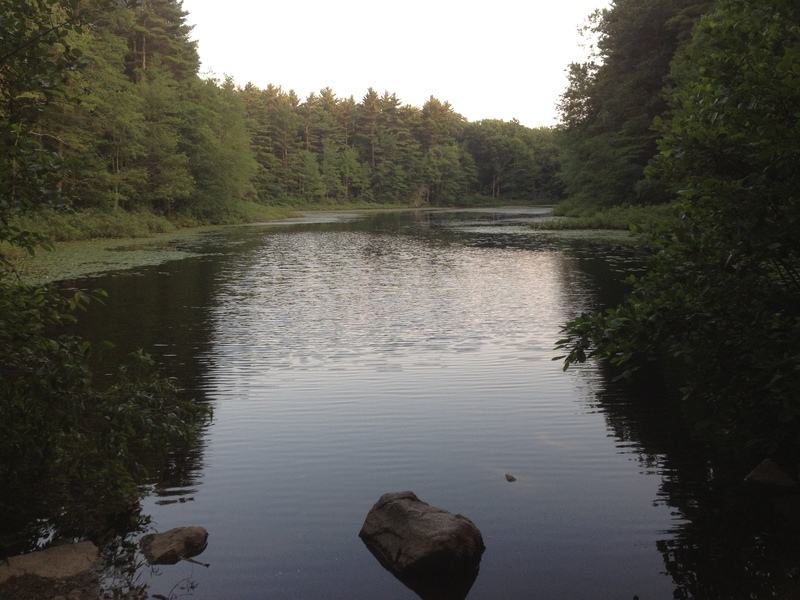 Fishing: Fishing is permitted in Holt Pond with the appropriate license from the state. Holt Pond is right next to the main parking lot so you don’t have to talk far to access it. Mountain Biking: Mountain biking is permitted here on some trails though the Trustees ask that you be careful of other users of the trails and avoid muddy areas. Horseback Riding: Horses are allowed to use the trail network at Noon Hill. Cross Country Skiing & Snowshoeing: The trails at Noon Hill are ideal for snowshoeing or cross country skiing if there is enough snow on the ground. Dog Friendly: Noon Hill is dog friendly if you keep them leashed and clean up after them. 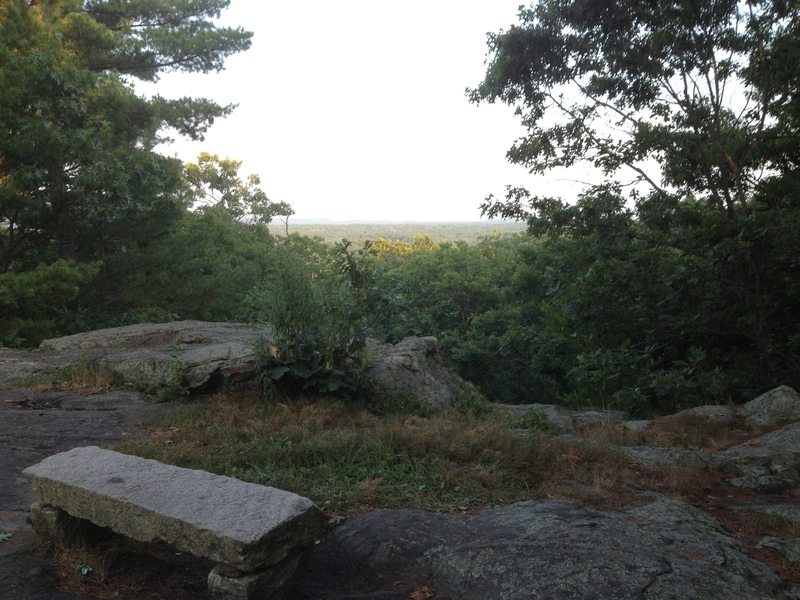 Favorite Activities: Noon Hill is a great place if you have an hour or two and want to get outside for a quick hike. The view from Noon Hill is a great spot to break up your hike and this is a relatively quiet place that is more off the beaten path. Facilities, Fees and other information: There aren’t any facilities beyond a parking lot and an informational sign with a trail map. There is also fee to use the property, but I would recommend supporting the Trustees of Reservations since they own and maintain so many great places in Massachusetts. Also, don’t worry if you hear the sounds of firearms being used. There is a shooting club next door to the Noon Hill area and, other than being loud, there’s nothing to worry about. How to get here: If you’re using a GPS device us an address on Noon Hill Road in Medfield and, once you’re on the road, you should be able to spot the well marked parking area with no trouble. Otherwise, coming from the Boston area take I-95 South to exit 16B onto Route 109 West and take a left on Causeway St. shortly after clearing Medfield Center. Noon Hill Road will be a left off Causeway St a little over a mile down the road and the lot for Noon Hill is about a mile and a half down this dirt road on your right.